The Mills faculty have recently voted on whether or not to have a union for adjunct professors on April 28, votes of which will be counted on May 14. Editor in Chief Tessa Love says goodbye to The Campanil and talks about making mistakes, learning from them and continuing on. A recent racist post on the now-defunct Mills College Confessions page set off a chain of events that’s ignited a rise to action surrounding the culture of racism on campus. Editor in Chief Tessa Love spent much of the ACP conference thinking about what will come next for her in the new digital age. 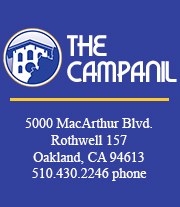 ACP 2014 | The Campanil staff is headed to San Diego for a journalism conference! 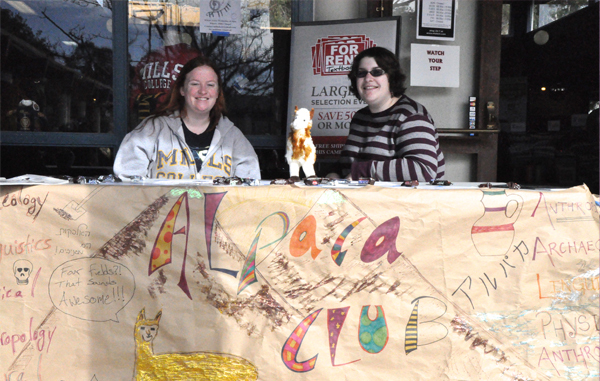 The Archaeology, Linguistics, Physical Anthropology, and Cultural Anthropology Club (ALPACA) created a unified space for students interested in anthropology. Mills has used about 28 million gallons of domestic water every year in the last four fiscal years. But ideas are in the works to reduce the college’s use by 20 percent. Tessa Love is the former Editor in Chief of The Campanil from March 2013 until May 2014. Love graduated with a bachelor in English with an emphasis in creative writing and a journalism minor. Tweet at her @tessamlove.